I enjoy posts that feature recipes and provide step by step photos of the process. 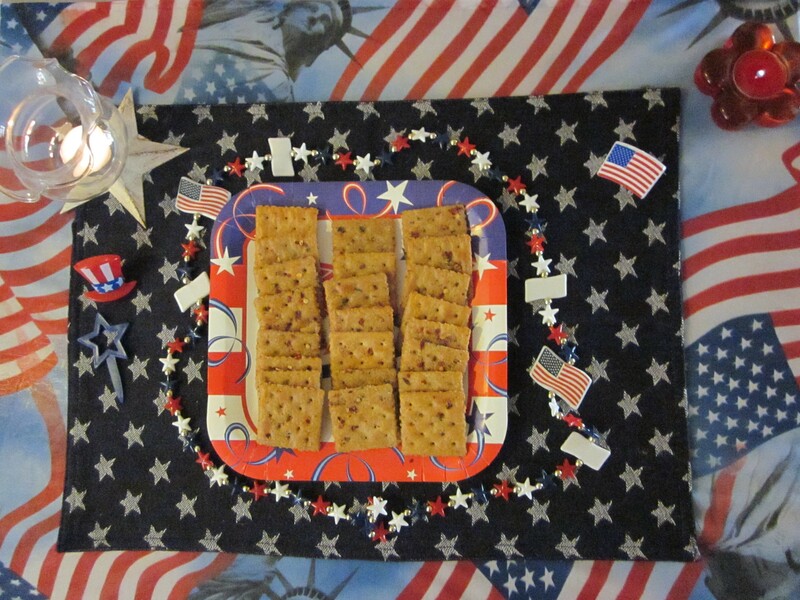 I never thought I would include a recipe in one of my posts, but just for fun I decided to share this one to celebrate Independence Day. Last July 4 one of my neighbors brought a sample over in a lovely bag decorated in red, white and blue. They are great by themselves or with a little cheese. Warning! They are addictive if you like it hot! Put the olive oil, garlic powder, black pepper, ranch dressing mix and crushed red pepper in a 1-gallon plastic zip lock bag. Seal and shake and smooth to mix olive oil and dry ingredients. Place crackers in bag and seal. Gently turn the bag over to cover the crackers with mix and let sit for about an hour. Repeat several times until crackers are well-coated. Allow to sit overnight. Remove crackers and enjoy. Have a safe 4th of July celebration!